The biggest question in Game of Thrones. To begin with, we're very aware that there are enough Game of Thrones theories on the web to fill the Seven Kingdoms. With this in mind, we've been extremely careful to pick and choose the most plausible ones - we've even debunked some of the crazier ones - but with season eight upon us, it's arguable that the biggest question remains unanswered, what does the Night King want? Well, our self-appointed Maester Paul Moore is here with his very best theory and don't worry, there's no spoilers here for the final season - just a detailed summarisation of what we've previously learned in the show. In order to discuss this properly, we'll break it down into a few different sections with some key takeaways. Game of Thrones fans are probably familiar with the story of Azor Ahai, the legendary hero that ended the war between The Others and mankind during The Long Night. Azor Ahai forged his sword, Lightbringer, after he plunged it into the heart of his loving wife, Nissa Nissa. With this weapon, he defeated the darkness those thousands of years ago. Melisandre has previously mentioned the prince that was promised and Azor Ahai interchangeably; however, she tends to use the name Azor Ahai more often. The prophecy was written in High Valyrian and the word that corresponds to "prince" is gender neutral, so this saviour could be a male or female. We're also told that this person would be born "amidst salt and smoke." There's one question, though, that hasn't been answered. Who was this prince promised to? Our theory is that Jon and Daenerys will have a baby - there was a lot of foreshadowing about that in season seven - and that this new prince (Jon and Daenerys are both royalty) will be gifted to the White Walkers. Again, it's a theory, but there's plenty of evidence to support this below and we'll elaborate further. Bottom line: A prince/princess will be pivotal in ending The Great War - soon to be seen in season eight. Ask yourself this, do you think one heroic warrior could drive the White Walkers back beyond The Wall? 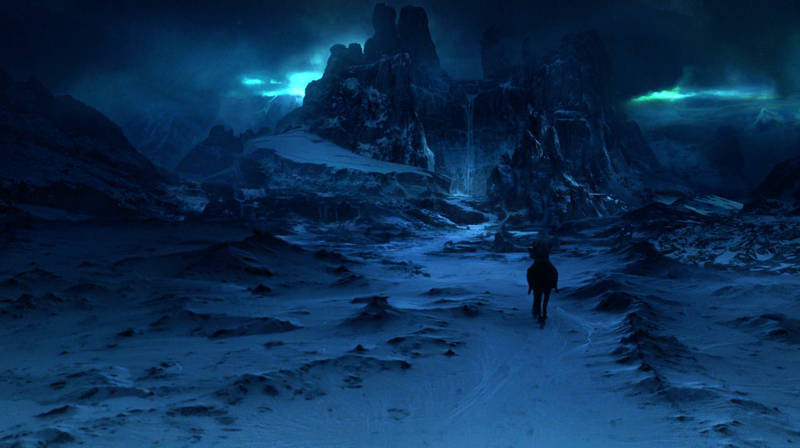 Eight thousand years before the Targaryen Conquest - before dragons even arrived in Westeros - the White Walkers descended from the farthest north, the barren and desolate regions of The Lands of Always Winter. The White Walkers killed everything they saw, reanimated the dead, and swept through the continent. In a time before dragons, do you really think an army of men led by a heroic warrior - Azor Ahai - could beat them? No chance. Our theory is that a pact was created which saw the Walkers return beyond The Wall in return for a few terms of their own. Terms that were broken by mankind - again, we'll elaborate more on that later. It's also possible that The Wall was created as a way to define and separate the territories of the Walkers and The First Men. Bottom line: The last great war probably wasn't ended by an epic battle. Most likely, it was settled by a peace agreement. 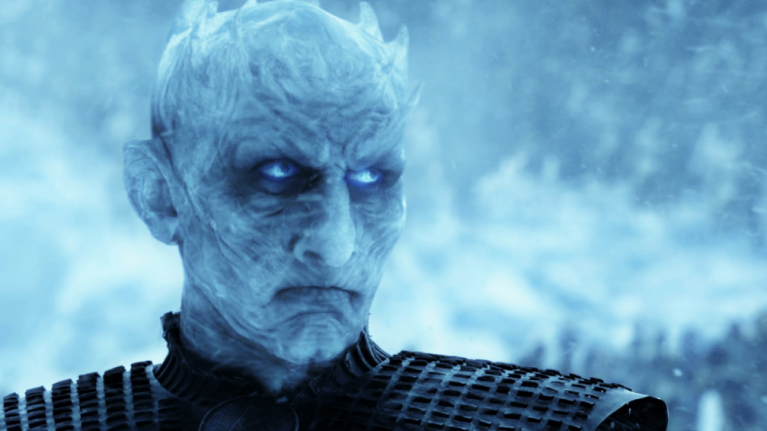 We've written extensively about the history of the Night's King (not to be confused with the current Night King, as seen on TV) but his story could be pivotal to the events in Game of Thrones. Basically, the Night's King was once the 13th Lord Commander of the Night's Watch but his tenure was dark and full of terrors. The basic gist of this story is that the Night's King was a respected leader and warrior until he fell in love with a female White Walker that had "skin as white as the moon and eyes like blue stars." The couple got married and this evil leader of the Night's Watch moved his wife into the Nightfort (the castle along The Wall) before declaring himself a king. For 13 years, the two ruled over the Night's Watch and performed human sacrifices to the White Walkers. Old Nan believes that the Night's King was a Stark of Winterfell and that he was the brother of Brandon the Breaker (Bran). However, this isn't the first time that we've seen human sacrifices being made to the White Walkers in Game of Thrones. Bottom line: White Walkers can be bargained and negotiated with - they're not mindless beings. However, the cost is human sacrifice to keep their race alive. In case you need a reminder, Craster was the wildling who lived north of the Wall. When his daughters grow old enough, he marries them, and then incestuously fathers new children. If any of his 19 wives give birth to a boy, they are immediately sacrificed to the White Walkers. It's entirely reasonable to assume that Craster's life was frequently spared because he adhered to the rules of this ancient pact. He'd offer his sons to the White Walkers and they'd leave him alone. If so, this proves that the White Walkers are creatures that can be negotiated with. Craster negotiated and reasoned with the White Walkers - just like the Night's King did at the Nightfort. Ultimately, Craster was eventually murdered by Karl Tanner, a mutinous member of the Night's Watch. Well, as we've frequently seen, the Night King has the ability to resurrect the dead, but we've only see him create new White Walkers in the Lands of Always Winter. After engaging in battle, the Night King has resurrected hordes of wights to boost his numbers. Wights are those skeletal, savage and zombie-like creatures that can be killed with fire, dragonglass, Valyrian steel and dragon fire. White Walkers are something entirely different and they're created differently, also. 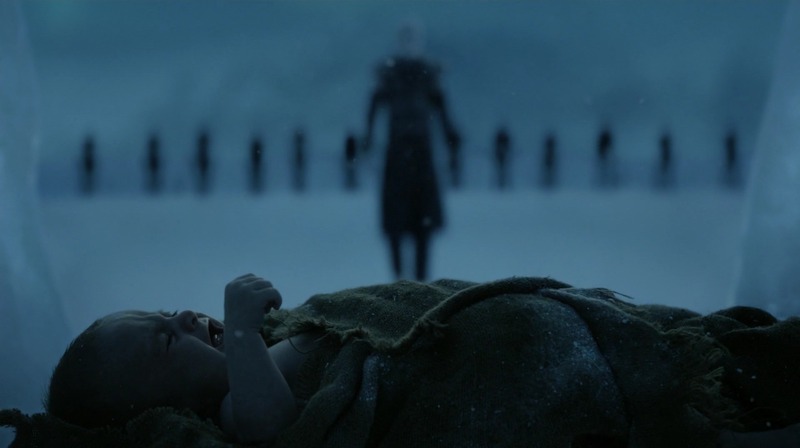 It appears that they need to be touched by the Night King to be created and in the show, we've only seen White Walkers being created as babies. Remember the White Walker that was killed by Sam after he was trying to deliver Gilly's baby to the Night King? 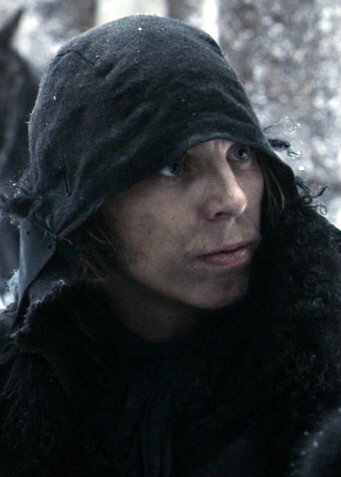 If such a pact existed, wouldn't Sam have violated it when he killed that White Walker? If this pact is true, humans have been threatening the very existence of the White Walkers. It's also significant that the Night King 'turning' the baby into a White Walker occurred in the episode entitled 'Oathkeeper'. Bottom line: White Walkers have previously been given free rein to 'turn' these babies into Walkers. Sam broke that pact. Cast your mind back to Daenerys' time in Qarth. Remember when she got trapped by those creepy warlocks that wanted to use her and the dragons to bolster their powers? Well, Dany has a vision where she sees the Iron Throne covered in snow. She also refuses to sit on the throne. Instead, Dany moves beyond The Wall (which she did in season seven) and sees Khal Drogo holding their unborn child. She makes a decision to leave her child there. Now, given the fact that she refers to herself as the mother of dragons, you could interpret this child as Viserion - the Night King's new dragon - that she left behind The Wall. However, if Daenerys does have an actual child, could this vision below be a foreshadowing of it being left with the White Walkers beyond The Wall? Also, don't you find it a little strange that the Night King could hit Viserion with a spear from hundreds of meters away and yet he let Jon Snow live at Hardhome? The Night King also let Jon Snow live when he was stranded beyond The Wall, without help, and outnumbered by thousands of wights. Basically, it's possible that the Night King was keeping Jon alive for a reason. Ultimately, Daenerys escapes after giving the 'Dracarys' instruction to her dragons and they duly oblige. Their power and strength is growing - something that might piss off the White Walkers because, as we all know, dragon fire and dragonglass can kill them. Similarly, Targaryen childbirth rarely goes well. Jon’s legitimate mother, Lyanna Stark, died while giving birth to him, and Dany’s mom, Queen Rhaella, also died in childbirth. Bottom line: If Jon and Dany have a baby, it could be sacrificed and left beyond The Wall. This baby could be the prince/princess that was promised. Also, the dragons coming back into the world is a massive issue for the White Walkers. There's a scene when Bran Stark and Meera Reed flee from the army of the dead after Hodor was killed 'holding the door'. 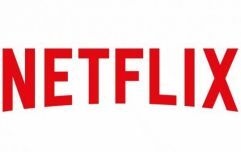 It was near the middle of season six and we've included it below. Well, when the duo were heading to the Wall, Bran drifted off into a vision and had two flashbacks of the moment when this child was turned by the Night King. What's interesting is that this moment is juxtaposed with some of the major events in Game of Thrones - the Mad King being killed, the Red Wedding, Dany's dragons being born, Ned Stark's execution, a dragon flying over King's Landing (still to be seen). They're all massive moments, so why feel the need to include this child being turned into a White Walker? Twice, no less. In terms of the show's narrative approach, that scene did feel a bit 'tacked on.' There must be a reason for it. Bottom line: This scene of human sacrifice to the White Walkers wasn't frivolous or fleeting and clearly means something bigger to the overall events. We're told that Bran the Builder created both The Wall and Winterfell. Bran the Builder is also considered the founder of House Stark and the Starks have always been referred to as the Kings of Winter. As we saw with the story of the Night's King and his White Walker wife, it's possible that the Starks and the Walkers have a long history. While their famous words 'Winter is Coming' are known throughout the realm - they clearly know what lies beyond the wall because those house words read more like a warning than a presumption - and we're also frequently told that there must always be a Stark in Winterfell. Well, doesn't that also sound like an instruction? Like, something that would be included in a potential pact with the White Walkers. On this note, cast you mind back to the final episode of season two. After Theon Greyjoy and the Iron Born sack Winterfell, Bran and Rickon are forced to flee their home and head north with Osha and Hodor. This is the very first time that there are no Starks in Winterfell. Ned is dead. Arya was taken by the Brotherhood Without Banners. Sansa is in King's Landing. Robb and Catelyn are moving south. The youngest Stark boys are moving beyond The Wall. What's significant is the next two scenes present the powers of Dany's dragons growing in the House of the Undying. 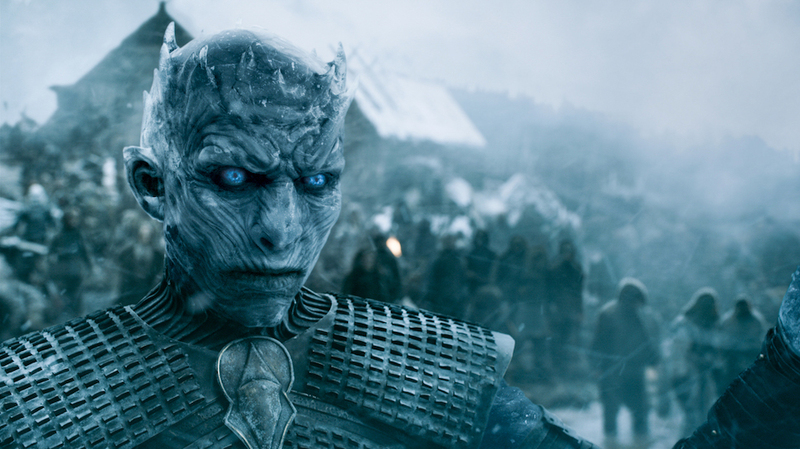 The season two finale follows, depicting the White Walkers moving south en mass for the very first time. Well, it's possible that the Starks broke the terms of their pact by leaving Winterfell. To make things worse, one of the things that can kill White Walkers - dragon fire - has returned to the world. Botton line: The White Walkers might not be 100% villains. They're just worried about their survival after this pact was broken. Add to this the fact that dragons are back in the world. Combine this with the fact that Craster is dead and they're not being given any new babies to keep their race alive. Sam also displayed an act of aggression by killing them. The circle represents a continuous pact that exists between the White Walkers and the First Men. The line through the middle is something that breaks this pact. Game of Thrones showrunner David Benioff has previously talked about their significance. "They derived them from their creators, the Children of the Forest," he said. "These are patterns that have mystical significance for the Children of the Forest. We’re not sure exactly what they signify, but spiral patterns are important in a lot of different cultures in our world, and it makes sense that they would be in this world as well." The White Walkers are leaving these symbols to remind the realms of men that there is an agreement in place. After reading the previous points, if you look at things from the perspective of the White Walkers, everything is stacked against them. The circle with the line through the middle represents the idea that this balance is out of order. The gyre symbolises the fact that events are stuck in a loop and bound to repeat themselves. In this manner, you could interpret it that another war is coming... just like the one Azor Ahai was involved in. It's also possible that the White Walkers want to communicate this message to the world of men. Sadly, in the very first episode of Game of Thrones, Ned Stark executed the Night's Watch ranger that survived the massacre beyond The Wall. Here's the Night's Watch deserter that Ned Stark executed. Has anyone ever wondered why his life was sparred? The White Walkers could have easily killed him but they didn't. There's a litany of words that you could use to describe Jon Snow. For the purposes of this theory, we'll focus on sacrifice. Jon sacrificed all titles when he joined the Night's Watch. Jon sacrificed his own life by voyaging beyond the wall when he was just a rookie steward. Jon sacrificed his own safety by fighting a wight and saving Mormont's life. Jon sacrificed his Night's Watch vows because he knew that Mance Rayder was right by trying to protect the Wildlings from the army of the dead. Jon sacrificed his safety by traveling to Hardhome. Jon sacrificed his life for what he felt was right. Jon sacrificed his own safety by travelling to Dragonstone when all others advised him not to. He did it again by travelling north of the Wall to capture the wight and he put his life in jeopardy by heading to King's Landing, too. Jon sacrificed his levels of loyalty in The North by bending the knee to Dany. Ultimately, Jon's whole character arc is defined by self-sacrifice in an effort to protect the greater good. If it came to sacrificing his own newborn child to end The Great War and drive the White Walkers beyond The Wall again, we'd be 100% confident that he'd make that decision. When the Vietnam War was raging, it is worth noting that the author was a conscientious objector. In fact, Game of Thrones can be viewed as a treatise on the disastrous nature of both war and the human heart. While we're entirely confident that the Battle of Winterfell is going to be epic, it's telling that the episode is only the third one of the six-part series. The gigantic battle won't be the finale. Truth be told, given Martin's anti-war stance, we'd be amazed to see his epic saga conclude with a bombastic spectacle of blood, fire, guts, and glory. The author has frequently said that, "The only thing worth writing about is the human heart in conflict with itself," and if you take that as an instruction, surely the final resolution to Game of Thrones is going to be something that's far more character-driven. Could this be Jon Snow sacrificing his child, breaking the heart of the woman he loves, but ultimately, saving every person in the Seven Kingdoms? After all, Azor Ahai did sacrifice his wife, Nissa Nissa, to create the famous sword, Lightbringer. It's also interesting that the showrunners also don't consider the Night King to be pure evil. "I don’t think of the Night King as a villain. He is not like Joffrey, or Ramsay. "To me, evil comes when you have a choice between that and good, and you choose the wrong way. The Night King doesn’t have a choice; he was created that way." "There are definitely things wrapping up from many, many seasons ago where you’re like: oh, I never thought that would come back." If we had a gun to our head, we'd say that it's the scene with the Night King turning Craster's son. 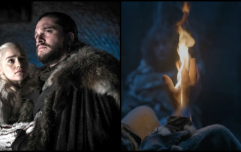 Throughout the promo tour for the final season, the majority of the cast members have described the finale as "bittersweet" and while everyone is expecting a finale of ice vs fire, Game of Thrones has consistently subverted expectations. For every single reason listed above, we think our theory could be extremely apt. We'll find out when Game of Thrones returns on 15 April at 2am and 9pm on Sky Atlantic. It's also available to watch on Now TV.